This conference provided me with essential fundamentals for fundraising that I have not seen at any other conference, for example the need to look at and own our own experience and views concerning money and reflect on how that comes to bear on our work. I loved the fact that throughout, the conference Amplfied the Positive And the atmosphere and experiences fostered a collegiality that is beyond compare. I am very grateful to have had the opportunity to participate! This conference provided many moments of enlightenment about the science and rationale behind work I’ve been doing for many years. It is empowering to know that I will now be able to make plans and implement them much more consciously by applying the techniques I’ve learned . Hands down one of the best conferences I have ever attended. The presenters were spot on every day and I walked away with a wealth of knowledge on how to grow as an individual and as a professional. Would attend this event again in a minute! Larry and Diane made me feel at home and always comfortable during group projects! The conference exceeded my expectations. I appreciate that it incorporated information about personality and demeanor in addition to helpful strategy about building relationships that will lead to meaningful gifts. I have already recommended the conference to several colleagues. 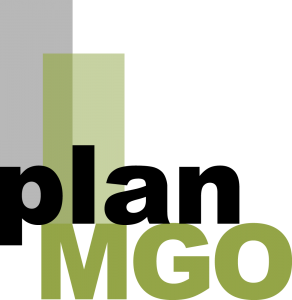 planMGO transformed how I see myself in my roles as a philanthropist, nonprofit leader and development officer. The conference program is thoughtful, the presenters are very compelling, and the experience is totally centered around making the participants as effective as we can be. Thank you! planMGO was the best seminar/conference I’ve ever attended on any subject. The combination of real nuts and bolts information combined with the relationship skills and emotional intelligence was personally and professionally transformational. You brought together such a stellar group of professionals and a great group of attendees and organizations. I left feeling inspired and empowered about how I can be a change agent here at Advent as we approach our 50th anniversary. I am shocked, and impressed, at how transformative this program is. Even now, almost a month out I am still feeling the inspiration. I’m not sure what I was expecting, but at the start of the program I was doubtful this was going to be 4-days (and resources) well spent. However, once the program was over and I was able to remove myself from the day to day moments and review the material as a whole, I’m very thankful for having participated. While I certainly learned new things, I think the biggest takeaway was the affirmation I felt that I do know what I’m doing, the organizational struggles I’m feeling are not my fault, and the inspiration to focus on the positive and tackle my projects with a different lens (and using some new tools). Thank you for the renewed spark for my work. I was shocked by how energized, inspired, and empowered I felt at the end of the four days. The conference presenters provided specific fundraising tools (tracking documents, ask algorithms) and shared fundamentals for making “the ask,” within an overarching framework of positive inquiry and promoting a culture of philanthropy in our organizations. Personally, the importance of understanding ourselves and truly listening to others as we build relationships with donors, senior executives, colleagues, and team members was the most valuable lesson of this extraordinary weekend. PLANMGO is a truly unique learning experience, and exceeded all expectations. Need Fundraising Motivation? I was inspired and challenged to further develop myself in asset development. I was also reminded of the gift our work brings to those who have resources to give. All of the speakers were authentic, engaging and brilliant in their areas of expertise. I am grateful for the opportunity to have connected to this conference. This conference was much more than I expected. It was a fun, exciting way to learn a variety of tools needed to be a successful gift officer. The skills you learn can be used in all types of relationships and the time you spend getting in touch with your own personal mission is invaluable. How wonderful to attend a conference that hammers home the key elements of the work we must do as MGO’s. Devoting particular sessions that break down rapport building, making the ask, and understanding, using DISC, who is across the table, were especially meaningful to me. Sharing the weekend with amazing peers and extraordinary program leaders was terrific. The work with listening skills and the recognition that “donors leave clues” was an “ah ha” moment too. The four day format created a “retreat” environment allowing for mental detachment from the office and increased receptivity of conference material. I left feeling refreshed and recharged, ready to approach my work with newly informed perspectives. Thank you! The planMGO conference was beyond my expectations. I was able to build real relationships with all of the attendees and know that I can reach out to any of them for support and guidance at any time. The guest speakers were engaging, inspiring, motivational and clearly the experts in their fields. I left the conference feeling empowered and motivated with the proper tools to move forward and be successful. Thank you for this invaluable learning experience! planMGO without a doubt needs to become a must do for all development professionals. Within the first week since the training we have already created our top five to do’s. This training will change the way fundraisers look at their relationship with themselves and their donors, and the people who may be predisposed to their organizations. I believe that the time at this conference has brought together various pieces of my development experience and education and has given me the tools and the confidence to be an effective gift officer. As an regular industry conference attendee, it was refreshing to connect and collaborate with colleagues from different industries. The material was well presented and accessible regardless of the type, size, and history of the development office (education, healthcare, museum, the arts, etc.). The scope and sequence of the information provided encouragement and support for success in building, managing, and sustaining a productive gift office. I could not wait to get back to the office and get started. Thank you for your insight and continued efforts to provide this much needed program. Larry Raff, Diane Blumenson and Laura Fredericks are exceptional presenters: masters of their content areas, actively observant leaders and forceful motivators. Their use of humor to balance an immersive learning environment is masterful and effective. End of the day thought: more, please! The training was a great mix of information, role playing and group work. -The training gave me a clear vision of what me and my organization should be doing to raise funds. The tools and techniques presented are super adaptable and I am excited to use all my new found knowledge to as a Master Gift Officer. Watch out world, I am ready to ASK! – Suggest opportunities to connect after training. Dinner closeby. Mini golf. Game Night. etc. -The guest speakers were a nice touch.Nice to hear from different folks. -The glasses/lindt choc break exercises were odd. -Meals, snacks and beverages were lovely -Staff was pleasant and super helpful -All in All a really special training and I am so thankful that I attended. You are both consummate professionals and your guest speakers also knocked it out of the park. I came back energized and highly motivated and told our Vice President of Development that we should send all our staff to the training. It was fun, challenging, enlightening, exhausting, and a game changer. Thank you for making me a better Executive Director. Thank you to Diane, Larry, Izzy, Katelyn, and Laura for an amazing immersion into the fine art of frontline fundraising! The days though long were effective and masterful. The presentations revealed new concepts and also confirmed my understanding of best practices. It was the best professional development opportunity I have experienced, and I am a better employee/person because of what I learned. I will take the tools assembled from the sessions and apply them to all areas of my profession. A million thanks! planMGO far exceeded my expectations. The presenters and the content were exceptional. I left the seminar on Monday evening, and on Tuesday morning was successfully employing lessons learned. Thank you! The planMGO conference was absolutely invaluable to me and my growth as a development professional. I left the four day intensive conference with a renewed sense of confidence and deeper understanding and respect for the important roles that we play stewards of philanthropy and development officers. Thank you! My four days at planMGO were without a doubt the best four days of solid, exceptional education I?ve ever experienced. I was inspired to be among such accomplished and passionate development colleagues and look forward to continued relationships. I have begun to implement what I learned, and will push myself with new personal insights and skills. I know I will better represent my organization and our donors because of this experience. The course delivered an unexpectedly comprehensive combination of emotional, mental, physical, and spiritual approaches to my work as a development professional. Larry and Diane balanced the practical with the esoteric in a way that left me feeling encouraged, confident, and prepared. Making a trip from Las Vegas to Boston for training is no small feat. I was compelled to do so because of the rave recommendation I received from a colleague. I came into the weekend with high expectations and am stunned that the conference far exceeded my hopes. I left feeling as confident and as capable as I have ever felt as a development professional and am so eager to share the new perspectives, tried-and-true techniques, and well-crafted tools with my organization. And if this wasn’t enough, I also gained several new friends who already are providing wonderful support as I endeavor to make a real difference in my community! The planMGO Conference was unlike any other conference I have ever attended. The focus on nuts and bolts fundraising skills combined with the emphasis placed on personality types/thought process left me feeling energized and with a long list of lessons learned. I was able to successfully apply the skills I learned on prospect visits less than a week after the conference. I would highly recommend the planMGO conference to anyone interested in honing their development skills and looking for a conference that provides essential information to become a Master Gift Officer. This four-day intensive program was transformational. It brought me to an entirely new level of sophistication and renewed my commitment to philanthropic work. Being able to meet and spend time with other fundraising professionals was invaluable. Thank you for putting this together ? I learned a lot! If you have a budget for continuing professional education, you are going to want to spend 100% of it on planMGO. If you don’t have a budget for continuing professional education, planMGO would inspire you to negotiate one – tomorrow. planMGO is just that valuable. From exquisitely gifted and deeply knowledgeable faculty to an evidence-based curriculum, don’t miss this opportunity – for you, your team or your staff. This is by far the most useful conference I have attended in the fundraising industry. I have applied skills learned and referenced material provided, both in the office and on the road, everyday since attending the PLAN-MGO . Even after 25 years in the field, I found planMGO to be extremely enriching and well worth my time. The various learning methods, the topics, the faculty and the setting were nothing less than excellent. Thank you for the opportunity to attend. If you want to take your fundraising skills to the next level, then planMGO is the way to do it. I learned things about myself that will be invaluable to my fundraising career. I also learned how to efficiently and strategically work the process and, most importantly, how to MAKE THE ASK! I feel empowered and ready to go raise more money for my nonprofit? I found the planMGO conference incredibly helpful and returned to my office feeling reenergized and with lots of great ideas to put into action.